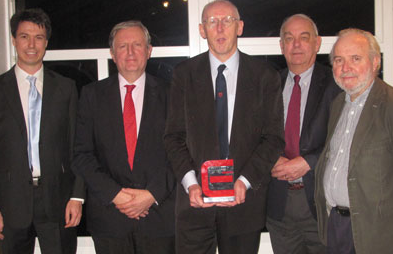 The PEARS project has won The Engineer’s Medical & Healthcare Award for Technical Innovation. Last Friday Tal Golesworthy and Peter Gibson attended the awards ceremony at The Royal Society in London to receive the award on behalf of the PEARS team. You can download a copy of the article here. You can also read more at The Engineer website.